Home > Yarn > Public Service Announcement: £4 Yarn Bowls! I must confess, I don’t really have enough for a full post here but I just have to share! I’ve been after a yarn bowl for absolutely ages. I first saw them at Unravel last year – these magical bowls stop your yarn from dancing around the room while you’re busy working with it. The clever design means you don’t get tangles (aka “yarn barf” – yep, that’s right) making their way up to your work in progress and slowing you down. But the yarn bowls I saw and liked were really expensive. We’re talking the kind of money I’d struggle to spend on an antique vase. That’s right – Tiger, the shop where you can buy everything from headphones to bags of salt to crayons, has started selling yarn bowls. The bowl itself is fab – the twist in the yarn feeder means that hopefully my yarn can’t escape while I’m working with it. And it’s the most gorgeous colour! I’m so pleased to have picked this up – especially as it was such a bargain. Tiger is a Danish chain which is cropping up on high streets throughout the UK. It was already one of my guilty pleasures – I love buying all their unnecessary bits and bobs. I have a load of sachets of herbs from there, and also some acrylic paints and a fruit bowl. 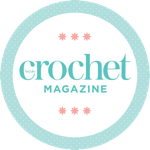 As if the yarn bowl itself isn’t a reason enough to visit – they also sell great value crochet hooks and yarn and other crafty bits (and, you know, board games and picture frames and novelty glasses)! As you can tell, I’m struggling to describe Tiger but I think I’ll go for “it’s like after you pick up your trolley in Ikea and get to the good stuff, but with better stuff”. Have you experienced the joys of Tiger yet? You think this is going to be a disclosure statement, don’t you? I haven’t been paid in any way for this article, I just can’t get enough of visiting Tiger. Haha.